Here it is. The linky meme I promised to get your kids out there taking photos. Get your kid(s) to take a photo on the theme of the week. Post it on your blog (just one photo each) with the rules and this link. The winner will get to choose the next theme and pick the next winner. This weeks theme is "I LOVE...."
Photos can be cropped but not edited in other ways. "Kids" must be aged younger than 15 years old. If more than one of your kids wants to join in, that's great. Just make sure you label your photos so we know whose is who! My kids will pick the first winner, which will be posted next Monday. 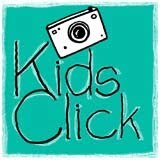 Have fun and get your kids clicking! This is such a fabulous idea. My son was out taking pictures yesterday of my hibiscus flower! I am doing some substitute teaching today but as soon as I get home I will link up! What fun!!! Sorry my kids are only 8 and 10. But my 10 yr old does love to snap photos. What a great idea Simoney- love it!!! Ok, I am very late but I have finally linked up! Thanks for having us. oooh am going to get the girls to join in but they're in bed so will have to do it tomorrow am. Hope I don't forget!!!! Fab idea! Think our entry is too late for this week, but shall throw it into the mix for the fun of it - both my gals love to click! Yah for a digital world and no expense of film :) - though it was kind of mysterious and magical in its day!